Mr. Clark owns a brick-and-mortar store in Brampton. He’s more focused on day to day activities. Putting out fires, serving customers, and doing meetings with business partners. The list goes on. Like any other business owner you know, Mr. Clark pays attention to the things he sees and his customers and clients care about. When you’re running your own shop, it can be easy to get consumed with the daily responsibilities that are right in front of you. What we fail to realize is that there are things we do not usually see but impact everyone – you, your employees, and entire business. To be specific, one of these things is your commercial roofing. Your Roof Matters. Here’s Why. A commercial roof is vulnerable to all kinds of wear and tear. Why? It faces storms, the scorching heat of the sun, and unforgiving winters. Not to mention, it gets stepped on by your HVAC personnel and maintenance crew. But let’s say you’re still starting out your business. Do you know the best commercial roofing material to buy? How often should you contact commercial roofing services for inspections or repairs? What are some ways to maintain your roof? This guide addresses all your concerns. Read our practical tips for commercial roofs to save yourself from an unnecessary headache. Having a leak-free, durable roof that lasts will give you peace of mind as a small business owner. We’ve compiled eight useful tips that’ll help you pay more attention to your roof. 1. Choose the right kind of roof material. First and foremost, you should never go wrong with your roofing material of choice. Practically, any person would want to have a roof that’s durable and has a longer lifespan. In a previous blog post, we’re written about the top various materials in the roofing industry. Many commercial roofing services offer these 7 roofing materials. 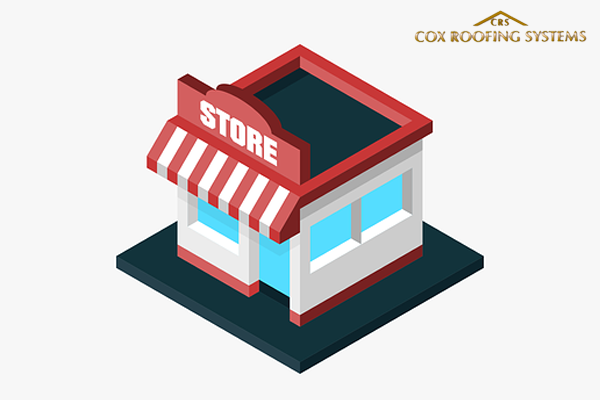 Here at Cox Roofing Systems, we provide 3 of the best ones which are TPO (Thermoplastic Polyolefin), EPDM (Ethylene Propylene Diene Monomer), and TTR (Tri-Thermal Roofing). TPO – A new and fast growing material, TPO reduces the solar heat gain of your building by resisting UV radiation. This helps reduce your energy bills and keeps your environment cool. EPDM – Made from extremely durable synthetic rubber, EPDM is strong and flexible. It resists punctures, tears, is light in weight, and can be recycled. 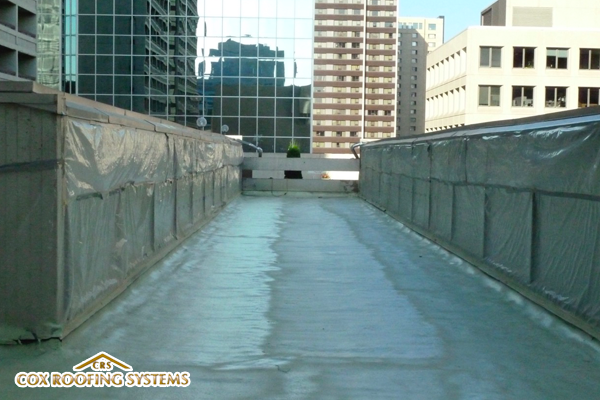 TTR – This is a combination of EPDM and spray polyurethane foam. This powerful combination ensures positive benefits and eliminates negative ones. 2. Hire commercial roofing services for professional inspections. Business owners need to establish a schedule for professional inspections. Ideally, a commercial-grade roof should be inspected twice a year – in the spring and fall. These times are vital since it’s best to prepare your roof for extreme temperatures. While you need to get twice a year professional roof inspections, don’t forget in-between inspections. There’s no need for you to hire contractors during these times. You can do simple DIY inspections. Making a simple inspection is never a waste of time. It can actually save you from spending thousands of dollars on a new roof because it helps you spot problems right away. 3. Address roofing problems as soon as possible. Never delay fixing minor problems that you can solve right now. Each time you delay a roofing repair, you increase the likelihood of a problem to grow. 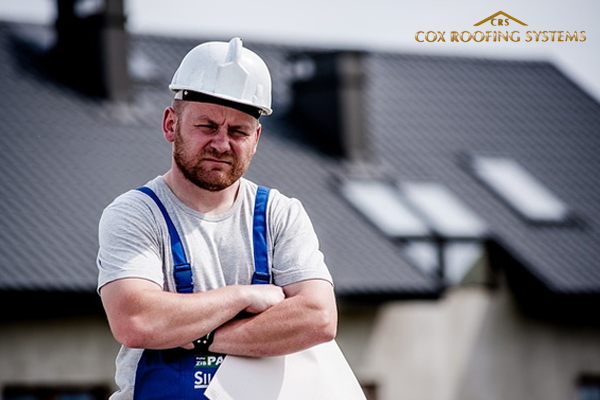 Whether it’s you or your roofing contractor who discovers an existing issue, immediately proceed to a repair. Be advised to avoid making repairs yourself. Even if it’s just a small leak or a blistered roof surface, repairs can put a regular individual’s life in danger. This is why commercial roofing services exist. Commercial roof contractors have the knowledge and skill set to check your roof for vulnerabilities and fix underlying issues. Always choose a commercial roofing company that is licensed and experienced. 4. Consider a commercial roof restoration. Perhaps you haven’t heard of a “roof restoration” yet. This important procedure makes the perfect alternative to a total roof replacement. Instead of immediately replacing your entire roof when you discover damage, your contractor will save it by cleaning, repairing, and installing a new roofing material over the old one. But before that, the roofing company will first check if your current roof is eligible for a restoration. A roof restoration benefits your business in many ways. The biggest advantage is cost savings. Roof replacements cost thousands and more. Think about the landfill costs and lost work hours because you’ll need to shut down for a few days as your roof gets replaced. 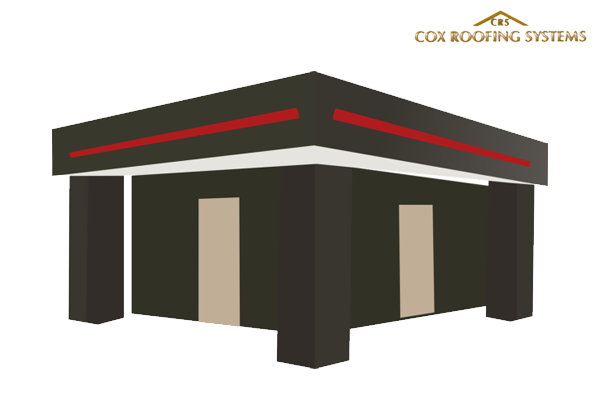 Cox Roofing Systems offers EPDM, TPO, and TTR roof materials as solutions for roof restorations. All these materials are lightweight, sustainable, and environment-friendly. And if you’re planning to save on energy bills, these materials effectively reflect UV rays. Now you can enjoy a comfortable working environment, enjoy lower energy bills, avoid pesky leaks, and gain a higher return on investment. 5. Work with a professional contractor for damage insurance claims. Storm damage is unavoidable. If this happens to you, be sure to document pieces of evidence that the storm damaged your roof. Take pictures and jot down notes. If a hail storm hit your roof, take note of the size of the hail. Look for dents and leaks that were not there in the past. After you document, get in touch with your insurance provider to report the incident. Most of all, work with a professional roofing company to assist you. Some business owners don’t know what to do during a storm damage and therefore need help. A lot of commercial roofing services include assistance to building owners. They perform inspection and will help provide an estimate as to how much the repairs cost. 6. Have a snow removal plan. Prevent your commercial roof from collapsing by planning a snow removal during winter. 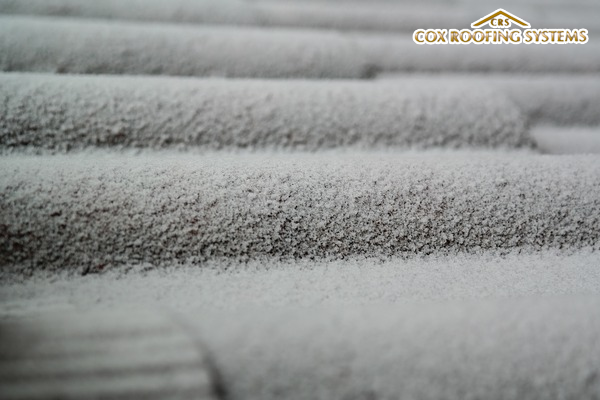 Snow must never be left on a roof for a long period of time. Allowing that to happen will result in poor drainage and water leaking into your building. How much snow can your commercial building handle? You need to know this. Next, get in touch with a commercial roofing contractor early on. Most roofing companies are fully booked in the winter so make sure that your contractor of choice immediately responds to your call. Your roofing contractor or engineer can review your snow removal plan before it is implemented. They will make sure that your plan is safe for everyone and that it does not increase the risk of a roof collapse. 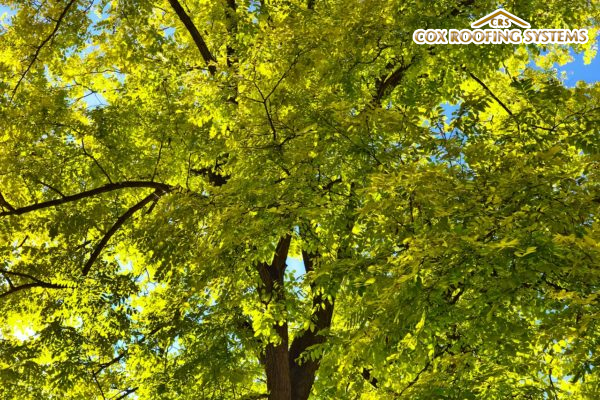 Are there tree limbs that hang over your commercial roof? While these things may look pretty, remember that they do more harm to your roof than good. They present a threat to your roof in many ways. Tree limbs that break off fall onto your roofing surface and may scratch and puncture it. Wildlife animals will gain access to your roof. Strong winds cause sharp edges of branches to again scratch your roof’s surface. Debris can also enter your gutters. Surely, you wouldn’t want your gutters to get clogged as this results in the backflow of water into your building. Hire a professional tree service to remove these branches. This task is dangerous so never do it yourself or even ask your personnel to accomplish the job. 8. Be cautious when choosing a roofing contractor. 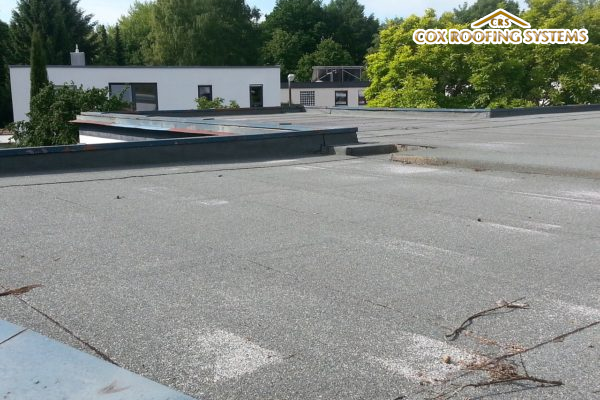 Nowadays, you can easily find commercial roofing services everywhere, especially online. The internet makes it extremely convenient for small business owners to go looking for a potential contractor to quickly address their problems. However, this ease of accessibility increases a business owner’s susceptibility to becoming victims of roofing scams. Be very careful in your selection. First and foremost, do your own research. We suggest that you visit local online business directories. Great sites where you can find reviews are Better Business Bureau, HomeAdvisor, and Yelp. It would also help to visit a prospective roofing company’s website yourself. That way, you’ll be able to check the commercial roofing services they offer, samples of their work, customer testimonials, and blog posts. Also, note their contact details. Create a list of potential roofing companies and call them one by one. Make a quick interview. Ask questions that will help you narrow down your options to the top three best contractors. Rushing to strike a deal with a contractor is never a good practice. As always, it’s more important that you make a well-informed decision. Avoid hiring a contractor that shows up at your door after a storm and asks money upfront for a roof repair or replacement. These are storm chasers. These are just some of the so that you enjoy a profitable, stress-free business through a roof that lasts. Start with selecting the right roofing material for you. Don’t immediately opt for a replacement because repairs and restorations are possible. Set up a good maintenance plan and prioritize twice a year inspections. You can conduct DIY inspections in between. Lastly, prioritize trustworthy and credible commercial roofing services.